Disagreement among faculty and students at the five Alamo Colleges and the administration at the district offices focused on two central issues this spring semester: an EDUC 1300 learning framework course and mandatory adoption of electronic textbooks for 18 pilot courses. On April 8, 2014, Dr. Bruce Leslie, chancellor of the Alamo Colleges, dismissed the EDUC 1300 course as well as the Instructional Materials (e-books) implementation in the Fall 2014 via an email: “The controversy and divisiveness surrounding this issue have simply outweighed the necessity to push ahead at this time,” wrote Leslie. 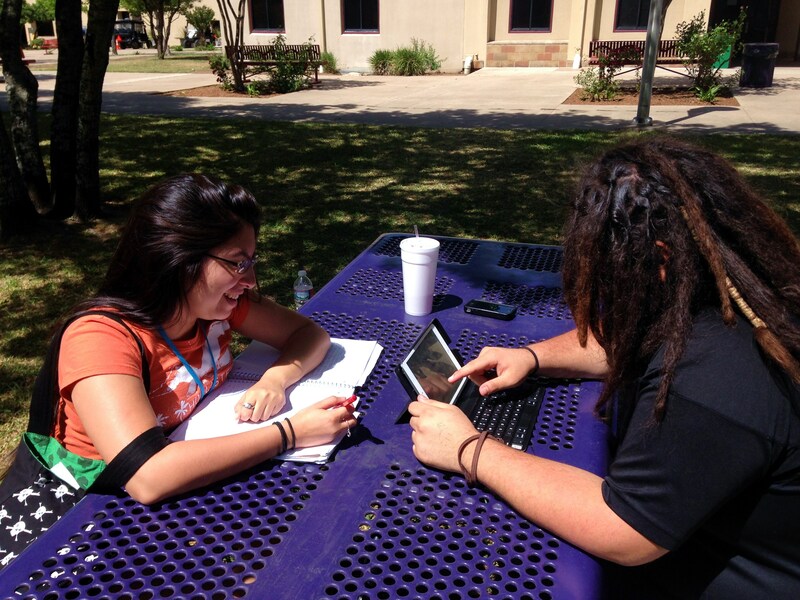 Students Felix Gonzales, Logistics major, and Nina Sigala, Education major, use different learning materials. The EDUC course was approved by the Texas Higher Education Coordinating Board and would “count toward your degree at the Alamo Colleges and will transfer and count toward your bachelor’s degree at any public institution in Texas,” Fabianke wrote in an email sent to students. Apprehension concerning this course stems from inserting EDUC 1300 into the core curriculum, replacing 3 of the 6 hours of the Humanities core. Marcotte’s opposition is primarily based on her disagreement with Stephen R. Covey’s book “The 7 Habits of Highly Effective People” being the primary and only source for the proposed EDUC course. Dr. Yolanda Reyna, chair of the Counseling Department and SDEV professor, said, “I think the more people that you get that to be involved, the more communication you get about the class, on why we are doing it, that will put it off on a good start. Sometimes people make changes, sometimes we are real quick to say I don’t want to do this. I think if you are open to it, there won’t be so many misconceptions,” said Reyna. Disagreement and anger was evident at the Chancellor’s Town Hall Forum on March 20, 2014, hosted in the Performing Arts Center at Palo Alto College. Many students voiced their concern with the proposed changes to the chancellor. “I felt like he was reading to us, things we had already heard. I wish he would have had more information. I felt like he was very distant. He knew just the outline. I would have liked for him to show us and be more hands on and lead by example. I don’t feel like he has experienced the issues we have experienced,” said Francisca Exon, an Education major, who attended the forum. On March 25, 2014, Palo Alto students attended the Board of Trustees meeting at the district offices. Some students spoke during the “Citizens To Be Heard” segment, expressing that they wanted to keep traditional textbooks as part as their learning materials. During this same time period, the Southern Association of Colleges and Schools Commission on Colleges sent letters to all the Alamo Colleges about EDUC 1300 and the Instructional Materials strategy. The letter asked that Palo Alto College address four main components that demonstrate students successful completion of a general education component, course approval from faculty and administration, faculty responsibility for the curriculum, and faculty approval of changes in the curriculum. The controversy surrounding these two initiatives now offers an opportunity to create shared goals. 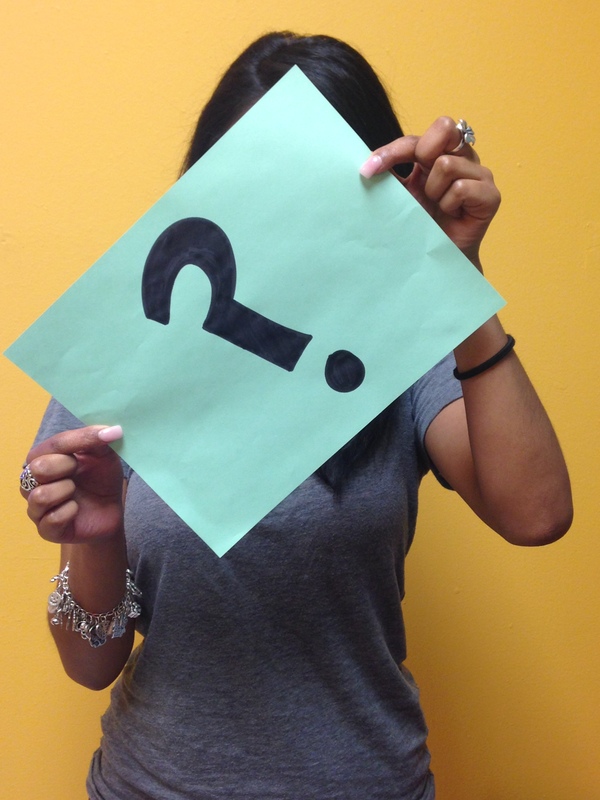 “I think faculty, Faculty Senate, Super Senate, we all want to work with district. In order to, we need to have a level of involvement that has not been there over the last couple of years,” said Patrick Lee, Faculty Senate president and chair of Palo Alto College’s Mathematics Department. This article provides a balanced description of the questions and concerns surrounding EDUC 1300 and e-books. It’s apparent that Ms. Pinedo worked hard to ensure that divergent views were given fair representation in this article.